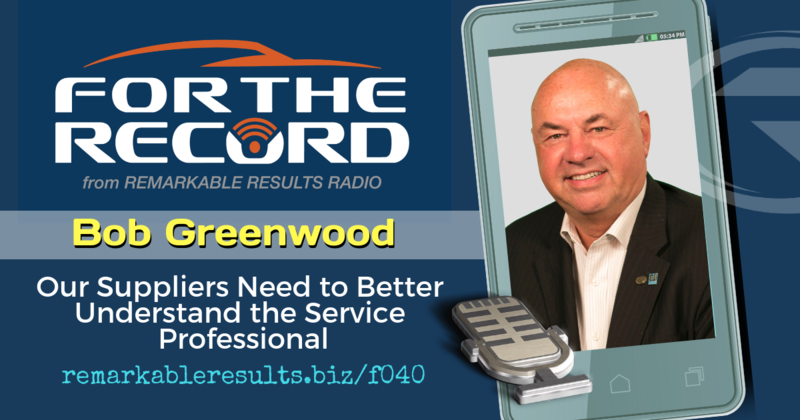 Bob Greenwood, AMAM (Accredited Master Automotive Manager) is President and C.E.O. of Automotive Aftermarket E-Learning Centre Ltd. (AAEC). AAEC is a company focused on providing Business Management Resources and Development for the Independent Sector of the aftermarket industry. AAEC content and technology is recognized as part of the curriculum of the Fixed Operations Diploma and the Aftermarket Degree courses taken at the Automotive Business School of Canada at Georgian College located in Barrie Ontario Canada. This school is the leader and only college in Canada that offers an automotive business education. AAEC is also recognized by the Automotive Management Institute (AMI), located in North Richland Hills, Texas USA, allowing 80 credits for successful completion of the AAEC E-Learning portion of the site towards the 120 credits required to obtain the reputable Accredited Automotive Manager (AAM) designation. Bob is one of 150 Worldwide AMI approved instructors. He has created Business Management development courses for aftermarket shop employers/managers, Jobbers and Jobber Sales representatives which are recognized as being the most comprehensive, industry-specific courses of their kind in North America. His courses address the creation of measurable bottom-line profitability and not just developing activity to keep busy, by covering the very detailed nuts and bolts issues that are required to be clearly understood by every level of the industry if an independent shop is going to financially prosper and enjoy a professional future. Bob’s previous episodes are HERE. Link to Automotive Aftermarket E-Learning Centre Ltd. (AAEC) HERE. The supply side of our industry does not understand how a professional shop runs. Still concentrating on activity and car count and do not understand productivity. Our knowledge is sold and may not have a part attached to the sale. They are not installers, but automotive service professionals. They don’t have customers but clients. Learn how business is done today in our new aftermarket. A special thanks to Bob Greenwood for sharing his passion – For The Record.